A true DYRBERG/KERN classic! 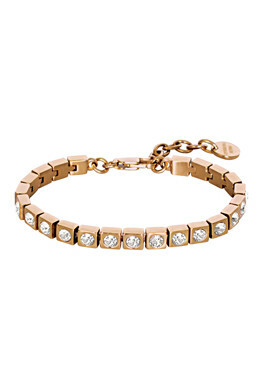 A modern take on the classic tennis bracelet made in stainless steel and adorned with sparkling Swarovski crystals. Shown here in a rose golden finish and clear crystals.